No muffin left behind is my motto these days. I’m really in love with muffins. 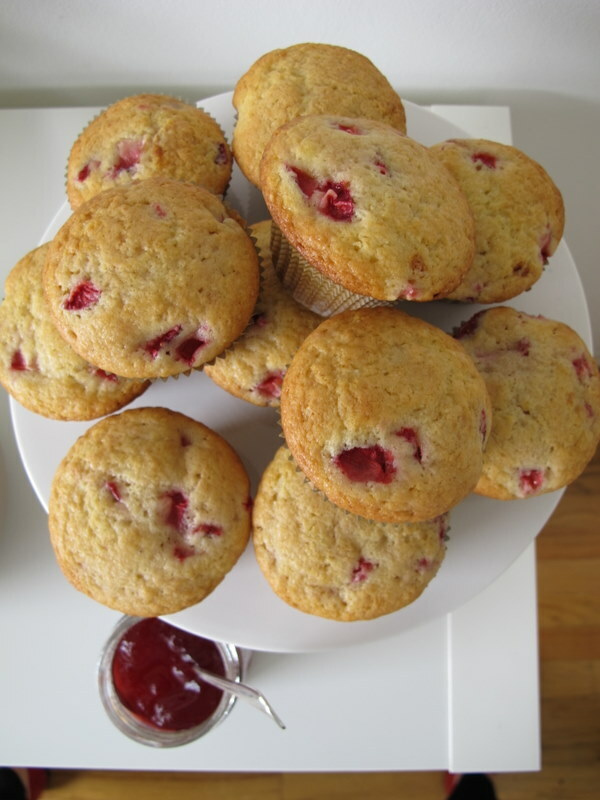 Currently my favorite is our Strawberry Morning Muffins from last week’s Easter Brunch. Fresh chunks of strawberries nestled in a sweet vanilla batter with an extra crunchy top due to the late addition of the sugar in this recipe. These were so amazing that the day we shot the brunch Sarah and I snacked on the mini versions throughout the day (which is why there are no pictures of them). Then I went to a wine night with some girlfriends and came home and ate 1 large muffin and the 7 remaining minis while I recapped the night for Drew. So take it from me this is a great recipe. Preheat the oven to 375 degrees. Line muffin tins with paper liners. 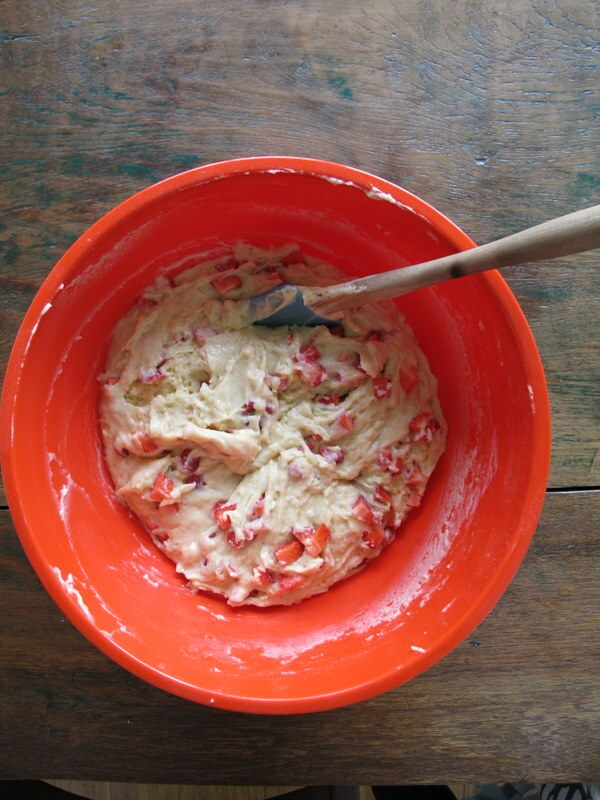 Sift the flour, baking powder, baking soda, and salt together in a large bowl. Stir with your hand to be sure the ingredients are combined. In another bowl, combine the milk, eggs, melted butter, vanilla extract and lemon zest. Make a well in the middle of the dry mixture, pour the wet mixture into the well, and stir until just combined. There will be some lumps but don’t overmix the batter! Add the strawberries, and sugar and stir gently to combine. 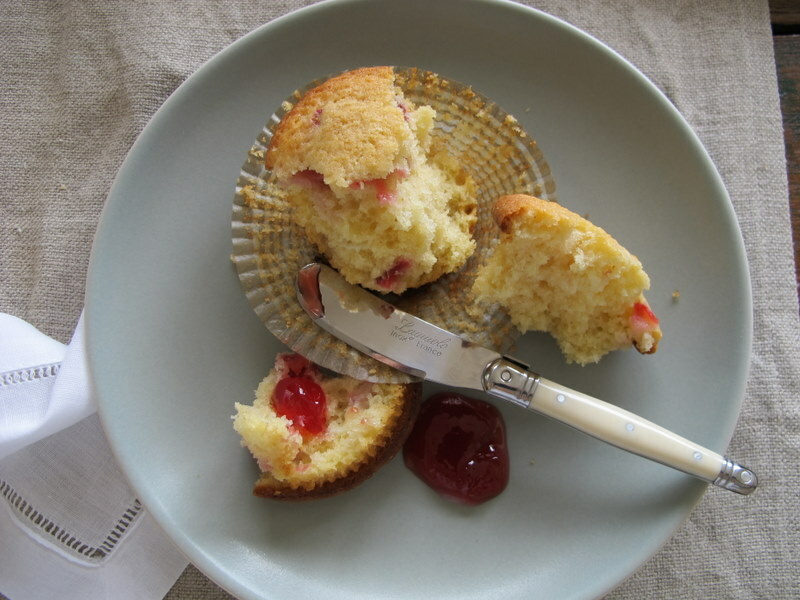 Using a 2¼-inch ice cream scoop, spoon the batter into the muffin cups to fill the liners. Bake until a cake tester comes out clean and the tops are nicely browned, about 18-20 minutes for the mini and 20-22 minutes for the regular muffins. Best enjoyed at room temp with salted butter and SQIRL Moro blood orange+Campari jelly.